More renders + mini-tutor --- >> https://www.artstation.com/artwork/bnWKG Hello everyone! 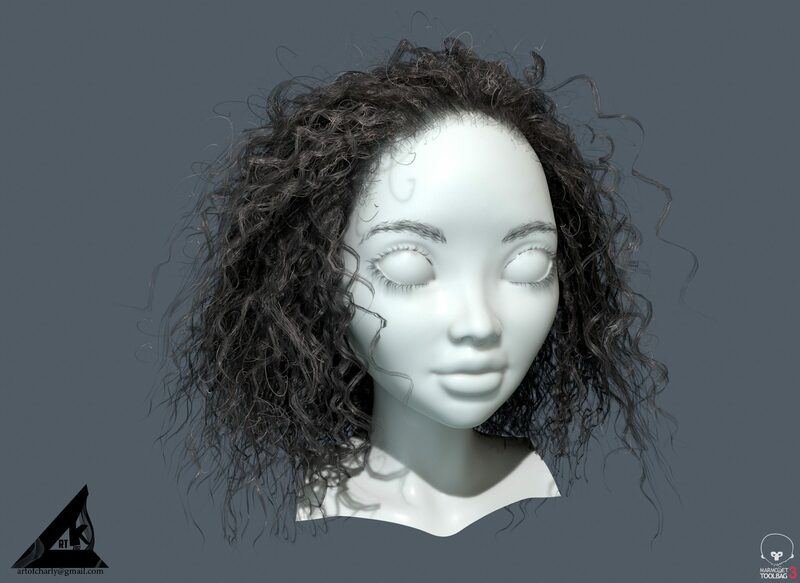 I already finished this hair model and uploaded it on CGTrader. Full hair polycount - 28 846 Tris. My goal is - not more than 30K like as in as in modern NextGen Games. You can buy this model here for $ 25.95 - https://goo.gl/yK15ah Or become my patron here and get this model for FREE - https://www.patreon.com/charlytuts I used Ornatrix and new tools in it for create hair cards and hair planes. Then baked Ornatrix hair with Vray. The full tutorial with lowpoly hair creation in Ornatrix with eng subs coming soon. You can watch my 6 hour livestream here(ru_voice) - > https://goo.gl/JjkLZo Happy viewing and enjoy!